This series combines designs illustrating legends about the goddess Kannon by Toyokuni III. 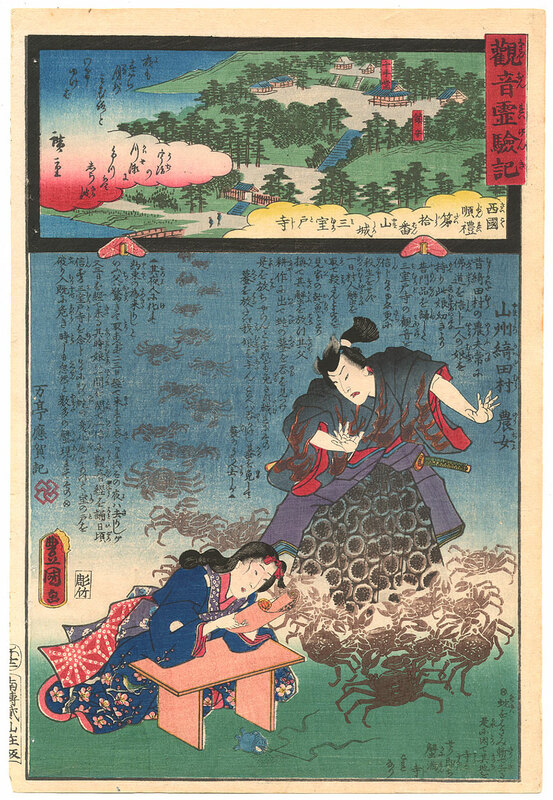 The illustrations of the temples the legends are associated with are by Hiroshige II. See http://sacredjapan.com/ for brief explanations of the legends as well as descriptions of each of the temples (in English).